Everyone’s favorite children’s song comes to life like never before with Thomas The Old MacDonald Bear. 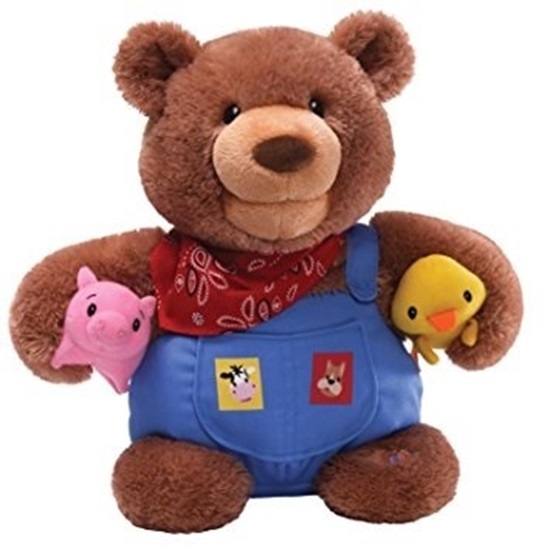 Dressed in his overalls and bandana – and holding two of his soft farm friends, this extra-soft teddy bear sings 4 verses of Old MacDonald – featuring pigs, cows, puppies and ducks – and their realistic sounds. Thomas’s mouth moves as he sings and his arms and head move as he dances to the music. Thomas stands about 10" tall, and requires 3AA batteries (included).